What is Cannabidiol?Is it legal? Is it safe? Where did it come from? 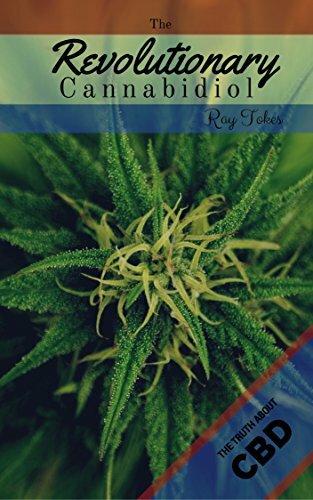 Why am I just hearing about it now?In The Revolutionary Cannabidiol, you will learn everything you need to know about CBD.Some of the most sought after questions are answered in this book, such as What Is Cannabidiol (CBD) Oil And Is CBD Oil Legal?Ray Tokes will explain to you exactly what CBD is and if it is legal or not.Why has the FDA still not approved the use of CBD oils?You will learn more about the battle between the FDA and DEA regarding CBD and what is holding it up from moving from an unapproved drug to a mainstream common drug.Is CBD weed, marijuana, or something different?So what is exactly is CBD? You will learn all you need to know to talk comfortably about the subject.What are the most prominent CBD oil effects?What are the effects of CBD? What are the positives and negatives?What is the link between CBD Oil and Cancer?Does CBD Oil Cure Cancer or Cause It?What are the benefits of CBD Oil?Are there any benefits to using CBD Oil?Can CBD Oil Cure Cancer?Is it possible to cure cancer with CBD Oil?